Glycemic Index- GI has grown in popularity in recent years. It is a ranking of foods on how they affect blood glucose levels and one of the most fundamental medical findings with implications in health, weight loss, fitness and disease management. If you have diabetes or you need to lose weight the Glycemic Index Diet Plan might be just the solution you’re looking for. This diet is based on a diet plan that was developed in the 1980’s as a way for diabetics to better control their blood glucose levels and subsequently manager their diabetes. It was discovered that the diet plan had a wonderful side effect; efficient weight loss. Since that time the Low GI Diet, as it is often referred to, has become quite popular with non-diabetics as well. Obesity os a chronic condition hat requires a long-term behavioural strategy for effective weight loss. Individuals who use the Low GI diet claim they are able to lose weight as well as retain more muscle. Many people report the diet helps them to shave off weight in critical areas as well, including the stomach. Under the Glycemic Index Diet Plan, foods are divided into three categories based on how they rank on the GI. The glycemic index ranks foods according to how quickly the body is able to digest them. Foods that are processed more quickly by the body rank higher on the Index. Foods that take longer to be digested by the body rank lower on the scale. The idea is to base your diet on foods that rank in the low to medium range by eating foods that rank high on the Index sparingly. Some of the low foods which are allowable on the Low GI Diet Plan include broccoli, tomatoes, cauliflower and other fruits as well as whole grains. Legumes are also allowable. Some foods rank in the middle range, including bananas and apricots. When dieters first start the eating plan they are in what is known as Phase One. Under this phase, dieters are encouraged to eat only foods which are low on the glycemic index list in order to lose weight. These foods are low in calories and high in fiber which makes it easier to lose weight. 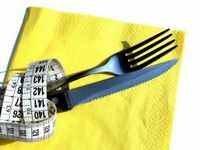 Dieters should plan to be on the first phase of the diet for about three to six months depending on how much weight they want to lose. After that time period, the individual may then advance to the second phase, which is the weight loss maintenance phase. In this phase, you may eat low as well as medium foods according to the glycemic index. It is important to understand that exercise is an important component in both phases of the diet plan in order for it to work effectively. The Low GI Diet plan by itself is not a complete solution for weight loss. You must be dedicated to participating in an active and healthy lifestyle. It should also be understood that this is not a diet in the true sense of the word but rather a change in lifestyle. If you abort the diet plan after losing weight and return to eating large amounts of highly processed and refined foods it is quite likely that you will regain weight, particularly if you are not exercising on a regular basis. One of the major advantages of this diet plan is that it is not as restrictive as many other diet plans. For example, you can have some carbs on this diet as long as they are good carbs and they rank low on the glycemic index. In addition, it is perfectly okay for you to eat out. Once you have become familiar with which foods rank low on the index you can then usually find something on any menu which is acceptable according to the Low Glycemic Index Diet plan. Vegetarians frequently find that many low carb diets do not work well for them because they place a strong emphasis on meat. With the Low Glycemic Index Diet plan there is no such problem because proteins from vegetables can replace meat. In summary, it's all about eating foods that are slower to digest so you feel fuller for longer. Keeping insulin levels low inhibits the formation of fat and assists in the converting of fat back into energy. With time and dedication, the Low Glycemic Index Diet plan has proven to be quite effective at managing diabetes, promoting weight loss and encouraging a healthy lifestyle. For more Weight Loss Tips & Secrets, visit our website which will help you discover the secret to permanent fat loss. This is within everybody's reach, but there are few who choose to grasp it! This next article really spells out how the Low Glycemic Index diet can help to avoid obesity. Unless you've been camping out in the Gobi Desert for the past decade, you probably know that Americans are the fattest group of people on the planet. And we're getting even fatter. The agencies with the responsibility to carefully track these numbers are the Centers for Disease Control and Prevention's National Center for Health Statistics. So, how did we get ourselves into this mess ... and is there any way out? Perhaps the most blatant bit of failed advice for healthy eating is that offered by the USDA Food Pyramid, now known as "My Pyramid." The original Food Pyramid, which was offered up to a trusting American public in 1992, told us we should eat less than 30 percent of our total calories as fat. Because no recommendations were made for protein (then about 15 percent of total calories), that left carbohydrates to make up 55 percent or more of what the USDA considered an optimal diet. Since the original Food Pyramid guidelines were implemented, the numbers of overweight and obese Americans have risen from 55.9 percent of the population to the current 66.2 percent. And all while they dutifully followed the government's high-carbohydrate, low-protein dietary recommendations. In fact, carbohydrate intake has actually increased, particularly the consumption of high-glycemic-index carbohydrates in the form of refined grains and sugars. In both the original Food Pyramid and the current "My Pyramid," absolutely zero mention is made of the glycemic index of foods. This gives the message that dietary fat caused us to be fat, and that replacing fat with carbohydrate could prevent obesity and promote good health. Unfortunately, this message has now been shown in hundreds of peer review scientific journal articles to be simplistic, incomplete, and even erroneous. As you know from reading Dr. Sears' past articles in ETR, the glycemic index, originally developed in 1981, is a relative comparison of the blood sugar (glucose) raising potential of various foods. In 1997, the concept of glycemic load was introduced to assess a food's blood glucose raising potential based upon both the quality and quantity of dietary carbohydrate in a serving. Hundreds of scientific studies completed over the past decade show that high-glycemic-index carbohydrates cause hormonal and blood chemistry changes that increase the appetite and promote weight gain. That's why you need to stick to low-glycemic foods if you want to lose weight. You might think the nutritionists who designed the revamped "My Pyramid" would be all over these exciting new developments. Not a chance. Highly glycemic foods are ubiquitous in the Western diet, and now comprise 47.7 percent of the per capita energy intake in the U.S. Is it any wonder that two-thirds of us are now overweight or obese? Governmental regulatory and advisory institutions are known to move slowly. But when it comes to dietary recommendations to prevent weight gain and obesity, they have not moved at all since 1992. Except for a superficial stab at including exercise as part of the new "My Pyramid," major dietary recommendations remained virtually unchanged between 1992 and 2005.
fat: 32.8 percent of total energy intake protein: 15.4 percent of energy intake carbohydrate: 51.8 percent of energy intake As was the case with the glycemic index, there is absolutely no mention of the benefit of higher-protein diets in promoting weight loss in the current "My Pyramid," despite hundreds of well-controlled scientific experiments verifying this phenomenon. The decades-old perception is that to reduce body fat, you must reduce dietary fat, replacing the fat calories with carbohydrate calories. The problem with this approach is that people using it experience constant hunger, and any weight loss is typically modest and hardly ever stays off for the long haul. After six months on the low-carb, high-protein diet, subjects lost almost 20 pounds, whereas subjects on the high-carb, low-protein diet lost only 11 pounds. And these results weren't a fluke. This type of experiment has been repeated and confirmed dozens of times in the past seven years. The scientific jury is in. High-protein diets are the way to go. So if you want to effectively lose weight, keep it off, and hold your hunger at bay, IGNORE the USDA's "My Pyramid" and stick to high-protein and low-glycemic foods. Your body will thank you for it. How a Low Glycemic Diet can lower your risk of developing fatty liver or diabetes.